Guess who turns 25 today? Super Mario, everyone’s favorite Italian plumber from Brooklyn who, somehow, is as adept at baseball, soccer, and tennis as he is at stomping on Bowser’s shell. Have I done any research on the subject? No, but the Guardian has, thank goodness, and I will more than happily link to their handiwork. To celebrate his 25th birthday, they have compiled a list of 25 things that you may not know. 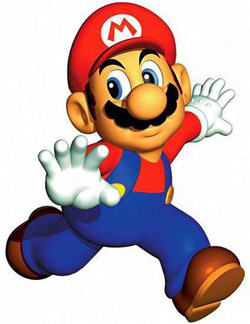 For example, Mario was originally a carpenter, not a plumber. I did not know that. Also: Bowser was originally supposed to be an ox!